LONDON -- UK new-car registrations slumped 20 percent in April, the biggest year-on-year drop for over six years after record demand in March drove sales up 8.4 percent as customers brought forward purchases to avoid a tax hike. Sales fell to 152,076 vehicles last month, traditionally a period when fewer vehicles are sold after a new license plate series is issued in March, the Society of Motor Manufacturers and Traders said in a statement on Thursday. Demand in March was boosted to a record high as individuals and businesses sought to avoid paying an increase in excise duty that came into force from April 1 for the most polluting vehicles. Sales in April were also hit by fewer selling days due to Easter. The SMMT said it foresaw less erratic swings in the months ahead. "We expect demand to stabilize over the year as the turbulence created by these tax changes decreases," SMMT CEO Mike Hawes said. But the industry faces a number of challenges ahead including new levies and tighter rules on the most polluting vehicles, which appear to be already dampening demand for diesel vehicles. Demand for diesel cars fell 27 percent last month, which compared with a fall of 13 percent for gasoline-powered vehicles, as the government prepares plans to tackle air pollution which could be announced as soon as Friday. 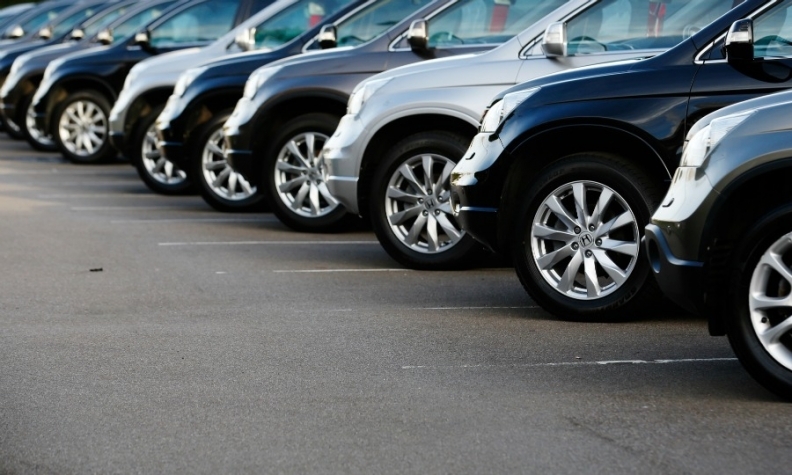 The UK's Financial Conduct Authority also said last month it would be launching a review into finance packages offered to customers buying cars due to concerns that there might be "irresponsible lending in the motor finance industry." Cheap finance has been key to the success of the sector in recent years with up to 90 percent of cars sold using personal contract plans, whereby customers effectively rent a new car for two to three years by making monthly payments before often trading them in for a new model. Last month Germany's premium brands outsold volume marques Vauxhall and Volkswagen brand while Ford retained its place as the UK's best-selling brand despite its registrations declining by 31 percent. Mercedes-Benz moved to second place after its registrations jumped 11 percent and Audi was the No. 3 brand despite a 4 percent drop. BMW's sales increased 3 percent, taking the brand into the No. 4 spot. In the first four months the top-selling brands were Ford, Vauxhall and VW. Download PDF, above right, for sales by brand for Arril and four months. The UK is the latest key European market to report a drop in sales growth. Registrations in Germany last month fell 8 percent, while French sales were down 6 percent. In Italy volume slid 5 percent, but in Spain sales rose slightly by 1.1 percent. Through April, registrations in the UK are up 1.1 percent to 972,092, the SMMT said. It forecasts that demand would fall by at least 5 percent this year due to Brexit and after consecutive record performances.